The storm that is REZZ is moving fast and furious. Earlier this week after announcing details of her new artist album for deadmau5′ imprint mau5trap Certain Kind Of Magic, she dropped its first single “Witching Hour.” Now the Canada-based electronic music producer, who was recently touted as the Best Breakthrough DJ by DJ Mag, has announced tour details to support the new record so fans can catch her dynamic live show featuring her new tunes. 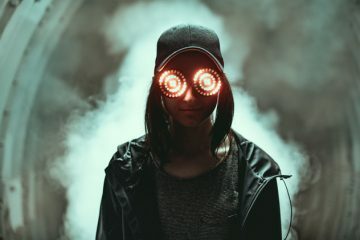 Alongside the new album, The Cult of REZZ can find her at major music festivals such as Lollapalooza, Tomorrowland and Electric Zoo this summer. In the fall she’ll embark on a major headlining tour through many major markets in North America, including a night at legendary Los Angeles venue The Shrine. The newly-announced dates follow below. Hi every1 I’ll be seeing u soon. Happy to announce the ‘Certain Kind Of Magic’ tour. tix on sale friday june 15 !